Whether you are transporting your safe to a different location of the house, or moving across the country, the idea of moving a heavy object around, with or without your belongings inside it, can be a daunting task, especially when stairs are involved. Our safes can weigh well over a thousand pounds, for a couple of different reasons. 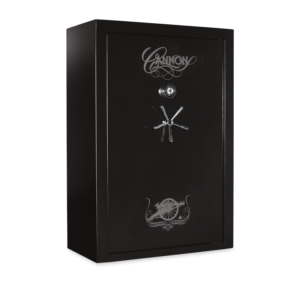 Learn why our safes are heavy and how to move a gun safe. In most situations, a large safe isn’t attached to the wall or floor in any way, but is just placed on the ground. The locking mechanisms and thick door will keep potential thieves from taking anything out, but this will do you no good if they can easily pick it up and take it out, leaving themselves more time with the safe. When burglars break into a home, they are looking for the easiest targets, and won’t linger at a heavy safe. Not only is your safe more protected because of its weight, but the elements that go inside it are heavy. It takes a lot of strength to be impenetrable. Just by the locking mechanisms, and tough exterior your safe has, the pounds really pack on. Transporting your safe can be difficult. Before you order your safe, find a place for it in your home, and commit to keeping it there for the duration of your time in your home. Avoid having to transport it. As much as we try, things happen, and it may be necessary to have your safe moved. Have the resources you need to get the job done safely. INVEST IN A FURNITURE DOLLY. This is a small investment for the help it will bring. Learn how to use them, and use it to transport the safe. Although this won’t do you much good going up the stairs, it will help immensely when moving across a flat surface. ENLIST THE HELP OF OTHERS. Whether you get a group of friends and family members, or hire professional help, this is not a task you should take on alone. Be sure to assess just how big your safe is, and how many people it will take to move it. If you are going to need to move it in a particularly cumbersome place, make sure to get the right help. CREATE A STRATEGY. Before beginning the move of your heavy safe plan an exit strategy to the transportation vehicle or the new safe location in your home. Don’t rush this task, think two steps ahead so you don’t get caught in a tricky situation and cause damage to your home or safe. Keep tight corners, stairs, and any challenging corridors in mind while moving your safe. PROTECT THE FLOORS AND WALLS. This is one of the easiest and most important ways to prevent damage in your home. Wrap a furniture blanket around the safe and secure it with tape. For additional floor protection you can lay film protectors (or old clothes, patches, and rags) on the path you plan to take to transport the safe. SAFETY. Remaining safe while moving a safe is the single most important part of the process. The safety of you, your friends, and any other people or animals that may be around are of top concern. Safety and well-being is the more valuable than your safe or the contents inside of it. Before moving your Cannon Safe, find out the details about it, such as weight and dimensions. This will help you move it in a safer and more efficient manner. Don’t be afraid to ask for help, to keep from harming yourself during the move. Can you haul a dial combo safe locked for a long distance without hurting the combo lock mechanism? Sorry, hauled a long distance ON ITS BACK in the locked position without damaging the lock mechanism? Safe “accidentally” on crazy girlfriend. She didn’t make it. Everything happens for a reason.